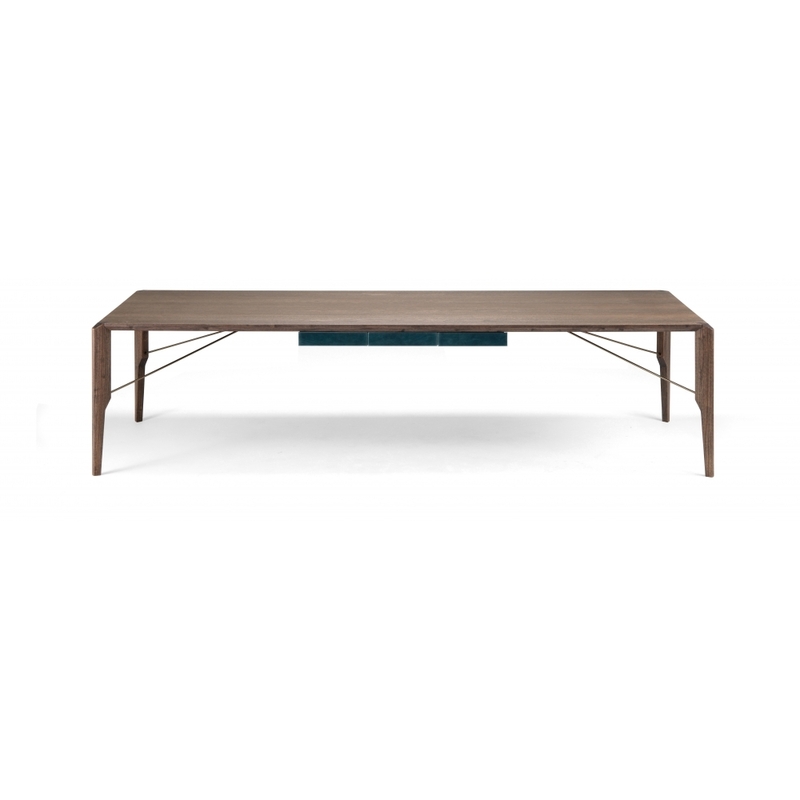 The Glorious dining table by Manzoni & Tapinassi has simple lines, creating an effect of extreme lightness and it is available in moka oak, Canaletto walnut or sucupira wood. The optional drawer is covered with vegetable-tanned leather available in different colours, from strong tones such as aubergine to natural and grey. Its distinctive character is the metal struts which support the structure, making it thin and almost ethereal. Priced for moka oak/micaceous brown and including optional drawer. Please contact us for further options.